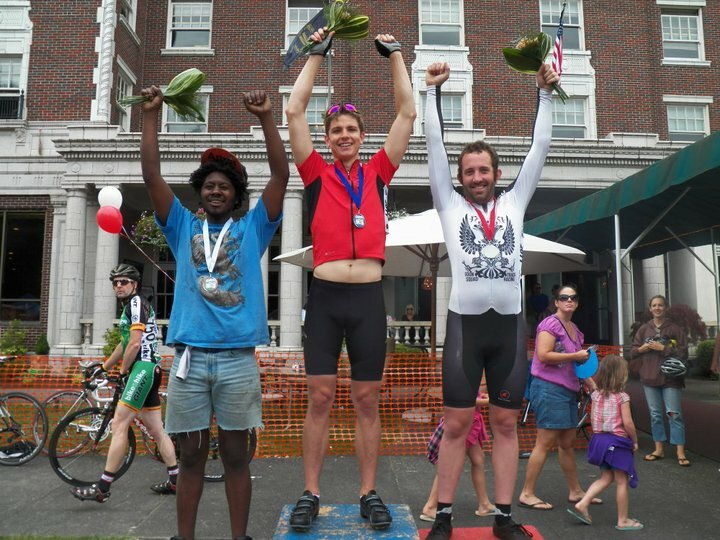 That’s either the best or worst podium ever with jeans shorts, unattached jersey, and skin suit represented. Also Captain Serious clocking them in the background, mom, and proud spouse in the background. Joking aside, that’s bike racing Americana right there and we’ve all wondered how a kid in jeans shorts was keeping up with us.